MOST of Russia’s super-rich spend their summer holidays on yachts in the sunny Mediterranean. Boris Fyodorov preferred visiting English country churches, the older, the better. The buildings, and especially the gravestones, fascinated him. He saw in them symbols of an historical continuity that Russia had lost under communism. Born in poverty as a factory caretaker’s son, he delighted in making discoveries among his aristocratic roots: trinkets unearthed at his family’s ruined estate, a (Polish) coat of arms. His dacha outside Moscow was notable not for pet wolves or other fashionable extravagances, but for his valiant attempts to create a weedless, stripy English lawn in a hostile climate. He flew a Russian flag there too, scandalising the neighbours, who insisted he needed a permit. Visitors to his office sometimes wished the chairs had seat belts. Conversation would ricochet from Russia’s recent economic history to the tragedy of the aborted reforms brought in by his hero, Pyotr Stolypin, one of Tsar Nicholas II’s prime ministers. It would touch on the lamentable failure of the Kremlin under Vladimir Putin to promote proper corporate behaviour in the boardrooms of Russia’s big companies, bounce to the hypocrisy of Western bankers who failed to pay their taxes, and come to rest with a robust inquiry into the virtues of cylinder mowers compared with the rotary kind. The chat would be in muscular, fluent English. Mr Fyodorov’s job in the declining years of the Soviet Union had included monitoring the world economy by reading the Financial Times. This had left him at ease with the jargon of the new age, and also well placed to be finance minister of Russia (still just a part of the Soviet Union) as the planned economy entered its death throes. He briefly represented Russia (after it had become an independent country) at the World Bank in Washington, and then spent a year as deputy prime minister and, for a short while, as finance minister too. It was not a great success. Like several other reformers of the time, he had a firmer grasp of economics than of politics: he was too unworldly, too impatient and perhaps too cerebral for the murky world of Russian government. Even so, he helped to create, almost from scratch, a Western-style financial system with capital markets, payments systems and a semi-independent central bank. Despite the wholesale theft-by-privatisation that followed, these achievements look more impressive now than they did in the chaos of the time. Once out of office, Mr Fyodorov published, among other books, a useful encyclopedia of financial terms. Some were recovered from pre-revolutionary Russian, others were neologisms. As a Russian patriot, however, he detested the practice of simply adapting an English word. Ofshorky (offshore accounts) was a pet hate, particularly because of its association with tax evasion. As head of the tax service, briefly, in 1998, he tried to decriminalise tax collecting, already well on its way to becoming an extortion racket, and also to broaden its reach to the rich and powerful—many of them all too familiar with ofshorky. Bravely, he set his inspectors on such prominent figures as Vladimir Zhirinovsky, a clownish extremist with connections to Russia’s rulers. He also tried to scare expatriate bankers into paying taxes on their salaries (amounting to $5 billion a year, he thought) and their local landlords into declaring the rents extracted from such foreigners ($1 billion). Mr Fyodorov had by this time also gone into business, founding United Financial Group, an investment bank, with an American friend in 1994. Yet neither wealth, connections, nor the flashing blue light on his black limousine (a hallmark of status in Russia) made Mr Fyodorov quite typical of the elite that moved so smoothly from burying communism to embracing capitalism red in tooth and claw. On the contrary, he despised such people for their lack of scruple. Without a moral basis, he said, capitalism would just become the means by which the powerful would concentrate their wealth. That was prescient. Mr Fyodorov’s last great cause before dropping out of public life was to try to make big Russian companies treat their shareholders properly, rather than serving the interests of bureaucrats and cronies. As a director of Gazprom, Russia’s vast gas monopoly, he attacked the practice of issuing two classes of shares, one for domestic investors and one for foreigners. That depressed the true value of the company. His own bank made tidy profits from intricate schemes through which foreigners could act as though they were Russian shareholders. Eventually, once its two-tier share system was abolished, Gazprom became one of the world’s most valuable energy companies. But it remained one of the worst run, much to Mr Fyodorov’s disappointment. For another of his aims was to strip away the intermediary firms that loot cashflow and assets from large Russian companies with the connivance of the management. One of his targets at Gazprom was closed down as Mr Putin and his friends gained control, but others soon took its place. Mr Fyodorov used to lament the fact that even he could not find the right phrase in Russian for “corporate governance”. The biggest worries are now focused on Bulgaria and Romania, the poorest and worst-governed new members of the EU. The Bulgarians have their hands tied by a currency board that pegs the lev rigidly to the euro. That rules out devaluation to restore competitiveness, which is a concern as exports sag. It also removes a potential buffer, because the central bank cannot adjust interest rates. A current-account deficit worth a quarter of GDP looks alarming. At least Bulgaria’s fiscal position is strong. The state has little foreign debt and runs a budget surplus. That should allow it to increase public spending as the economy slows. It can also borrow abroad (though the authorities say they have no plans to approach the IMF). The loss of some EU money is embarrassing, but Bulgaria is still in line to get €11 billion in the years up to 2013. Oriens, a Hungarian-based merchant bank that specialises in the Balkan region, reckons that growth next year will be 2.3%: low but not awful. IRAN’S new medium-range missile, the Sajil, which was test-fired on November 12th, marks something of a technological breakthrough. It is fast and has a claimed range of 2,000km (1,250 miles). It might reach Moscow or southern Italy, say. Yet both Russia and Italy are opposed to American plans to place ten interceptor rockets in Poland and an anti-missile radar in the Czech Republic. The Italian prime minister, Silvio Berlusconi, has criticised the plan because it “provoked” Russia. The Kremlin has threatened to put short-range Iskander missiles in its Kaliningrad exclave (or possibly in Belarus, a close ally) if the missile-defence deployment goes ahead. Raising the temperature even higher, Nicolas Sarkozy, the French president who (until the end of December) also presides over the European Union, said on November 14th that the American plan “does nothing to bring security and complicates things”. That infuriated his Polish and Czech counterparts, who noted that France signed up to a decision at the NATO summit in April in support of missile defence. They also questioned what business a French president had pronouncing on other countries’ security ties with America. Mr Sarkozy issued a partial retraction, saying merely that nobody should put new missiles in Europe pending talks with Russia about new security arrangements for the entire continent. The incoming administration of Barack Obama seems unenthusiastic about missile defence as well. The president-elect says that he will support the programme “if it works”. That marks a big shift from the Bush administration’s policy, which is to deploy and develop in a “spiral” (meaning that bits would be deployed as and when they are ready). All this leaves the Poles and Czechs who pushed for missile defence (against unenthusiastic public opinion) somewhat exposed. The Polish president, Lech Kaczynski, a strong supporter of the plan, claimed that Mr Obama had told him that missile defences would go ahead. But the Obama team issued a denial, leaving Mr Kaczynski, not for the first time, looking out of his depth. Radek Sikorski, Poland’s foreign minister, who clinched the original deal with America, flew to Washington this week to sound out potential Obama administration appointees in more detail. Poland is interested not only in the tacit American security guarantee that a missile-defence base implies (important if NATO’s value to Poland frays because of German ties with Russia). It also won promises of American help with Polish military modernisation and of a battery of advanced air-defence missiles to protect Warsaw. If the Obama administration freezes missile defence (quite easy, given congressional hostility to the programme), other parts of the deal will be in doubt. That is more galling since public support in Poland for missile defences has risen from 27% at the start of August to 41% after the Georgian war, when Condoleezza Rice, America’s secretary of state, came to sign the deal and toast it in Georgian wine. Some Poles feel, crossly, that Mr Sarkozy is speaking for Russia, not for them. 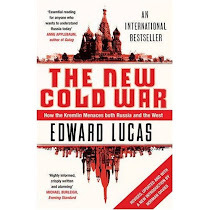 To foreigners reporting on the long slow death of the Soviet empire, Mr Rakowski was still more interesting in person, giving candid and waspish assessments of the communist regime’s political, economic and personal shortcomings. He was amusing and friendly company, at a time when congeniality was as scarce in the east as toilet paper or matches. Unlike most senior communists, he was not pompous, bullying or hidebound: you could easily believe that he was just another human being, not a defender of a system based on lies and mass murder. In that sense Mr Rakowski symbolised Poland’s post-war story. A peasant’s son and a teenage lathe operator, he was talent-spotted by a communist regime which, installed by Soviet military force, was hungry for brain power. He rose through the system in the 1950s, at a time when Poland’s rulers struggled for wiggle-room inside the Soviet block and showed something of a human face at home. For many, the modernisation and industrialisation the regime brought were welcome, regardless of the political label attached to them. But it was not all trimming. In the 1960s Mr Rakowski publicly opposed the death penalty, then a heretical and dangerous stance. His finest hour came in 1968, when a quarrel between two factions in the communist party bubbled over into a public anti-Semitic (ostensibly “anti-Zionist”) frenzy. 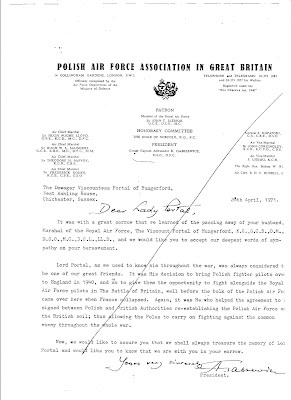 Mr Rakowski stood firm and refused to sack any Jews. Asked to reprint a pre-war article critical of Jews, he refused, saying their ashes were “scattered in the fields around Auschwitz”. Many Poles thought their Nazi and Soviet tormentors were two sides of the same coin; it was remarkable for a senior communist to agree in public, even in part. But unlike some, he did not leave the party, either then or after martial law was imposed in 1981. With scores killed and thousands jailed, Mr Rakowski became the right-hand man of the country’s new military leader, General Wojciech Jaruzelski. He was ambiguous about whether he still truly believed in a democratic form of communism; Leszek Kolakowski, the exiled philosopher, rightly described that as “fried snowballs”. Mr Rakowski preferred to argue that communism protected Poland from the Soviet Union, whereas full-scale opposition would be futile. The anti-communist fighters had died in the forests; the pre-war government, in exile in London, was a husk; the Catholic church was a reactionary force. If history had placed Poland in the communist camp, then hope lay only in being its happiest barracks. Mr Rakowski’s great ambition was to lead the communist party. He eventually became first secretary (as the job was called), but he was last as well as first, acting as the party’s undertaker in 1989 after the round-table talks paved the way for freedom and true independence. Usually celebrated as an unalloyed triumph, that transfer of power had its drawbacks. Privatisation, launched by Mr Rakowski in the dying years of communism, had allowed influential insiders to start turning power into money to safeguard their positions. Dodgy foreign trade outfits, linked with military intelligence, flourished. Party funds that Mr Rakowski had shipped out of the country returned (via a KGB courier) to launch a new post-communist party. Mr Rakowski’s career fizzled out, fittingly, in an abortive bid for the Polish senate in 2005. His successful opponent was Radek Sikorski, now foreign minister, who had fled Poland as a political refugee from the martial law that Mr Rakowski so steadfastly defended. The European Union’s thinking about corruption goes roughly like this. It is a problem for governments, chiefly in the new member states. The best way to fight it is by making entry into the EU conditional on progress. That will create the political will which must, sooner or later, bring results. That approach is not working. Anti-corruption efforts have stalled or reversed. Countries such as the Slovenia, Romania, Latvia and the Czech Republic have closed down or weakened their anti-corruption offices. Efforts by the two newest members, Romania and Bulgaria, are ineffective. Croatia, though gripped by a ghastly outbreak of gangland violence, is moving swiftly towards the EU. The real story is that the prospect of EU membership encourages elites to pay lip service to the anti-corruption cause, but no more than that. Once the conditionality is gone, the pressure stops. Efforts to train officials and create the right sort of structures in ex-communist countries seem to have little or no effect. In a phrase familiar from western development efforts in non-European countries, “the solution is the problem”: in other words, the agencies and officials being entrusted with the means to fight corruption are just as bad (weak, corrupt or incompetent) as the people that they are supposed to be policing. Those who do try to change things risk being fired, not promoted. Corruption-fighters such as Romania’s Daniel Morar or Slovenia’s Drago Kos are relying increasingly on support from outside to hang on to their jobs. Awareness campaigns are not the answer: the public is already highly aware of the level of corruption, having first-hand experience of it. Such campaigns stoke a sense of futility: Eurobarometer opinion surveys show that easterners are increasingly disillusioned with the ethical standards of their elected representatives and public servants; west Europeans are morose about the same public officials as well as the impact of corruption on the EU as a whole. These gloomy ideas—as they came to light in a “lessons learned” workshop at the recent International Anti-corruption Conference in Athens—should give EU decision-makers cause for serious thought. One of the organisers, Alina Mungiu-Pippidi, of Berlin’s Hertie School, argues that in some new and future member states corruption is not seen as “a mostly individual infringement of a norm of government fairness and impartiality” but as the opposite: the normal way of distributing public services; to friends, allies, clients and bosses. Using judicial punishments against something that is largely regarded as normal behaviour (at least among the perpetrators) is unlikely to work. Nor are outside watchdogs such as OLAF, the EU’s in-house fraud-busting outfit, likely to get to grips with the problem, given their assumptions of “perfect functioning of the rule of law and of impartial bureaucracy”. One answer is to set up a much better means of measuring anti-corruption efforts. The existing benchmarks focus on the creation of formal institutions, not on their impact. They also create an unhelpful mixture of smugness in some countries (“What us, corrupt? No way—try next door!”) and paranoia in others (“Why pick on us? What about them? And you?”). It would be good if new yardsticks included all the EU members, not just the new and future ones. Perhaps the EU needs a commissioner for anti-corruption, or a special envoy, to be directly responsible for following up on commitments made during the enlargement process. But the best approach is to use the expertise that can be found outside government, particularly in the voluntary sector. The enemy of corruption is public-spiritedness; the stronger that gets, the greater the chances of both constraint and redress. It is as simple—and as complicated—as that. Designed to keep the Germans down, the Russians out and the Americans in, NATO will celebrate its 60th birthday in 2009 in a sorry state. Its campaign in Afghanistan is not going well. Its members are at odds about how to deal with Russia. But look north and the European security picture will be brightening. Sweden and Norway, once prickly friends, are striking up a new defence relationship. This might look odd: Sweden is non-NATO and a member of the European Union; Norway is a keen member of NATO, but has stayed out of the EU. But now those differences are being set aside. Co-operation on airspace monitoring, combined military procurement, joint training and co-ordinated intelligence work will all be bearing fruit in 2009. Panting to catch up is Finland, neutral in theory but in practice also spooked by an increasingly assertive Russia. That's clever psychology by the Norwegians and Swedes: Finland would resist if it felt pressured to join in. But it hates being left out of anything its Nordic neighbours get up to. For the core three, 2009 will bring calls for higher defence spending and new efforts to extend Nordic security co-operation to other countries. The two pressing tasks for the new Nordic security partnership (don’t call it an alliance, or you will get a very chilly Scandinavian scowl) are to work out how to help the Baltic states, and to make plans for what they call the “high north”, the energy-rich area that lies between Europe and the North Pole. The Baltic states (Estonia, Latvia and Lithuania) have been full members of NATO since 2004. But the alliance has made no plans to defend them, not wanting to break the taboo on counting Russia as any kind of threat. That will change in 2009, as NATO’s bureaucracy in Brussels works out the practicalities. But no NATO efforts to defend the Baltics in a crisis make sense without help from Finland and Sweden. As EU members, they will offer political support. And Sweden’s airspace would offer the best way to bring reinforcements if needed. The Baltics will be keen to join in the new Nordic nexus, starting with airspace monitoring. America is watching the Nordic efforts with increasing interest, as is Canada, once a peace-monger but now deeply alarmed by Russian adventurism in the Arctic. Add Britain for good measure, beef it up a bit, and this could turn into a handy new outfit to deal with the hot­test spots of what some people are calling the new cold war. All it needs is a snappy name. What about the Nordic Atlantic Treaty Organisation?